We love LOCAL! We love Blender 2015! The count down to the Blender 2015 Launch is on! Blender is a compilation CD launched by Richmond Street Records and features the cream of the Central Institute of Technology (Leederville) talented artists and bands. The launch will showcase these new diverse artists to industry and the Perth audience. 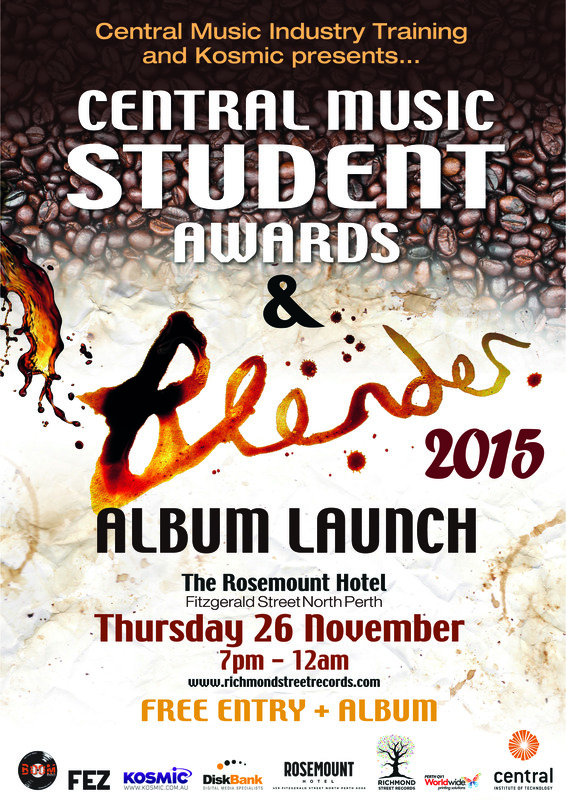 You can grab yourself a FREE copy of ‘Blender’ at the CD Launch Party at The Rosemount Hotel on Thursday 26 November. The fun kicks off at 7pm and entry is FREE! There’ll be drink specials, raffle and other goodies on the night so come and celebrate with us! Some of your favourite Boomers will be there too!